The world has become increasingly digitised in the last 20 years – a trend brought about by the rapid growth and convergence of the Internet, computing power, mobile electronics and cloud computing, among others. While many are still coming to terms with the changes wrought by the digital age, experts are already predicting that the Internet of Things (IoT) will usher in a new era of interconnected machines. In its report, research firm International Data Corporation (ICD) forecasted the global IoT market to grow from US$655.8 billion in 2014 to US$1.7 trillion in 2020. Furthermore, the number of IoT endpoints – connected devices such as household appliances, handheld devices, automobiles and more – is expected to grow from 10.3 million in 2014 to more than 29.5 million in 2020. Against these wider developments, one can see why many in the technology sector are optimistic about the industry’s future prospects, given the increasing demand for more powerful and sophisticated hardware and software to run the digital world of tomorrow. Singapore’s semiconductor industry is also one of the largest in the region, responsible for manufacturing one in 10 of the world’s total production of IC chips, while being home to some of the industry’s largest players, such as Infineon, Intel, Micro, NXP and STMicroelectronics. In addition, three of the leading wafer foundries and four of the top outsourced assembly and test services companies have set up operations in Singapore and are responsible for a range of activities such as manufacturing and research and development (R&D). With such a strong presence of leading international players, it is no wonder electronics manufacturing is a key contributor to the Republic’s economy, making up about 5 per cent of Gross Domestic Product (GDP) in 2014. At the same time, the manufacturing of electronic products here also creates many spin-offs to other parts of the economy, such as precision manufacturing; chemicals and materials suppliers; and logistics service providers. Despite a rise in business costs here in recent years, Singapore continues to be a key investment destination for international electronics firms. The electronics sector accounted for 14 per cent of the S$11.8 billion in fixed asset investments secured by Singapore in 2014. In addition, the electronics manufacturing sector also accounts for some 19 per cent of the total manufacturing workforce, of which more than half are skilled positions. It also boasts of the second highest labour productivity among manufacturing industries. Besides its leading position in the wider electronics sector, Singapore is also the world’s largest manufacturer of hard disk media, accounting for 40 per cent of global market share. This comes from the presence of Seagate, Western Digital and Showa Denko, the three biggest suppliers of hard disk media in the world. Besides manufacturing, the three firms have also set up their R&D operations in Singapore. next-generation 2.5” storage drives for mobile applications. Looking ahead, Singapore also expects to see the completion of Micron Technology’s US$4 billion NAND Flash Memory Fabrication Facility. When completed, the facility is projected to create at least 500 skilled jobs, and contribute over S$1 billion of value-add to the Singapore economy each year when fully ramped up. For global electronics firms, research and development is a critical investment in order to stay competitive and gain advantages for future products. With its strong R&D infrastructure, ready availability of top talent and strong support from public sector research institutions and universities, Singapore continues to attract R&D investments to complement the HQ and manufacturing of electronics principals here. In fact, more than 50 electronics firms have chosen to site their R&D operations here in Singapore, with the sector emerging as one of the largest contributors to business expenditure for R&D here. This was 31 per cent of the total private sector R&D expenditure in 2013. Meanwhile, the public sector is also a major player in electronics R&D here, through the Institute of Microelectronics (IME). 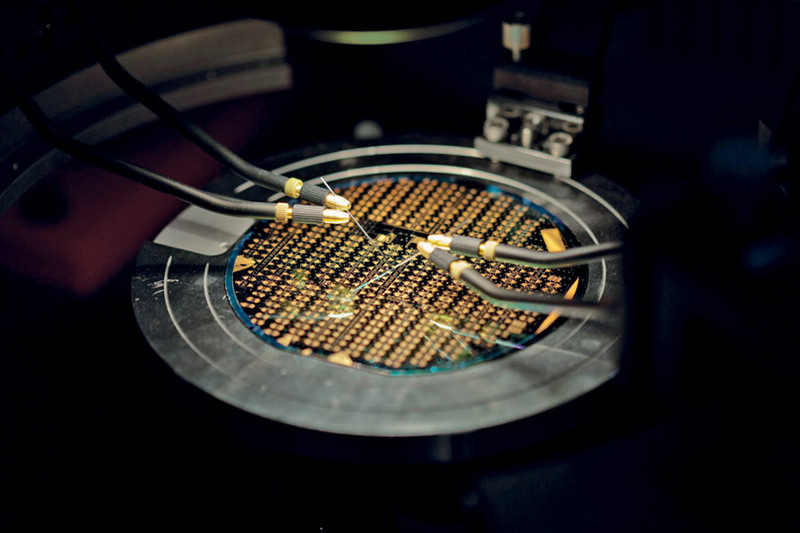 A member of the Agency for Science, Technology and Research (A*STAR), IME undertakes cutting-edge research and development across the entire semiconductor value chain in areas such as IC and system design, 3D packaging and reliability testing, as well as nascent technologies such as bioelectronics and nanoelectronics. In order for Singapore to stay ahead as a leading hub for electronics firms, there is a need to invest in the right talent to provide it with a competitive edge. The Singapore government – through the Singapore Economic Development Board (EDB) – has been looking to ensure a steady pipeline of talent to power the electronics industry. These initiatives include undergraduate and postgraduate scholarships, encouraging students to further their studies in IC design at the local universities. Two of Singapore’s four public universities – the National University of Singapore (NUS) and Nanyang Technological University (NTU) – offer courses in electrical and electronic engineering. Meanwhile, the newer Singapore University of Technology and Design (SUTD) also boasts a S$146 million international technology design centre, in partnership with the Massachusetts Institute of Technology (MIT). With so much going for it, Singapore’s electronics sector outlook looks promising, with the potential to grow from strength to strength. Looking ahead, the Republic can be counted on to consolidate its inherent strengths and position its electronics sector to take advantage of global developments in digital technology and electronics demand.